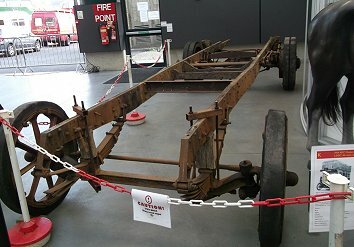 I peeked in at the south door of the new London Bus Museum tent, to see the chassis of NS174. I presume that the body restoration is going on elsewhere: it would be good to see progress with this interesting machine. To get in I had to go to the official entrance - no more just wandering in any door that you like. 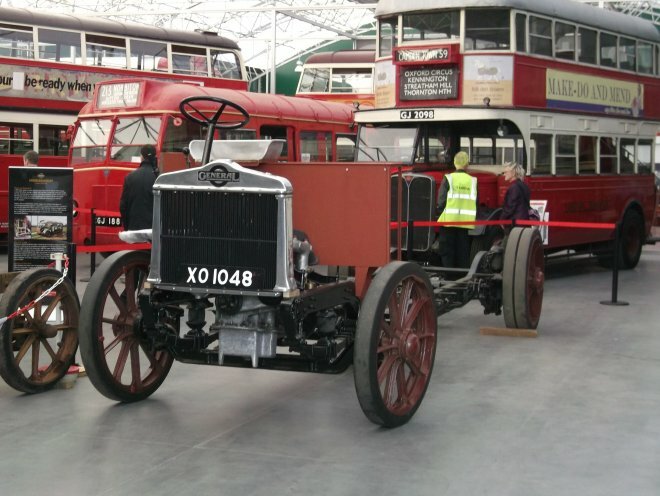 This is a PROPER museum. Inside, after passing the horse-bus exhibition I got to the old stuff again, and was interested in the K-type chassis on display, with its steel plate clad wooden chassis beams. 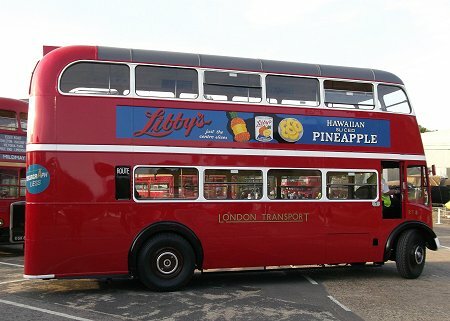 (Incidentally, I can find no reference to this bus on the new web site). 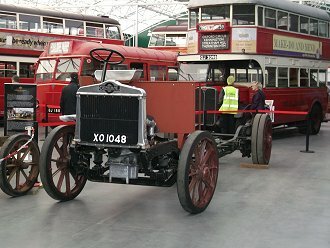 I wandered round the rest of the museum, which held some of the usual display that were not out running or (more likely) displaying outside today. 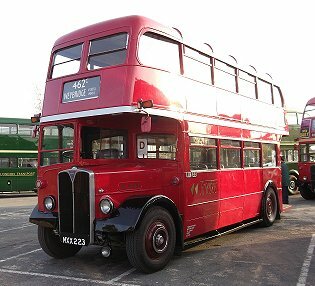 Here was family favourite ST922, that my late father helped to restore in its early preservation days with Prince Marshall (coyly Mr P.Marshall on the website). Dotted around were other Museum buses: STL441, STL2377, G351, Q83, T31, T504. 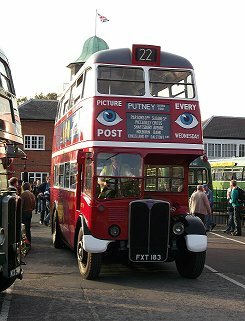 RT1 stood in a place of prominence. But other buses, that I had hoped to see without the usual clutter of trade stalls in front, were absent, and I gather from the website that they are being restored (or hidden) elsewhere. 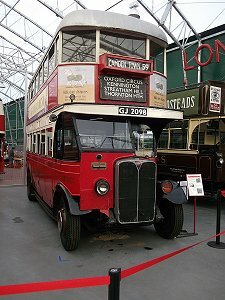 A shame: I would have liked to see what progress was being made on the interesting buses that the museum has acquired for restoration. I just hope that the business of running an everyday public museum does not divert attention from long-term restoration of the relics. 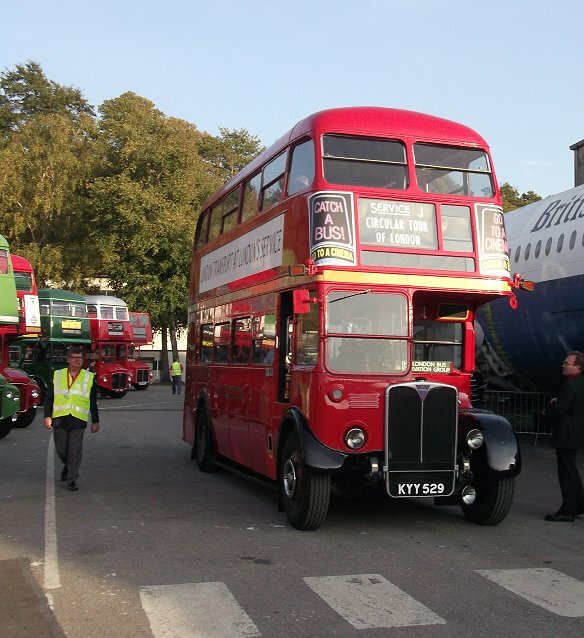 Trade stands of course occupied the space usually devoted to the Museum's buses outside. I went back outside - through the official exit, of course. Time was getting on. 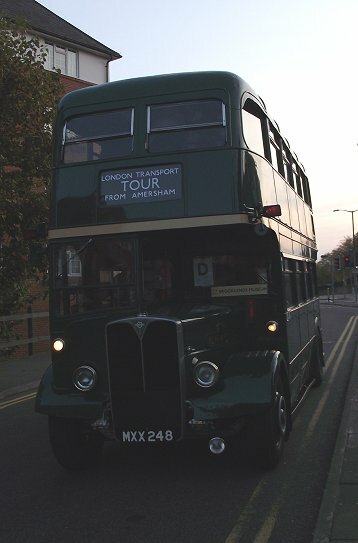 I had to decide which way I was going home: RT1702 back to Crystal Palace, or RLH48 to Amersham. 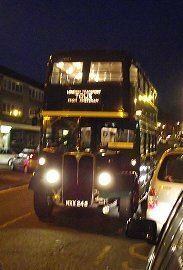 While I was looking at RM8 the decision was more or less made for me: RT1702 came whispering out of the yard, on its way to the pickup point. 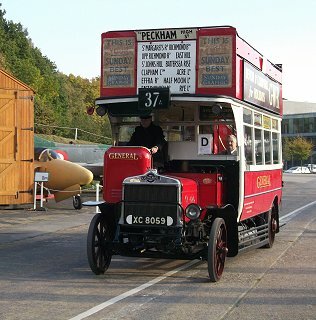 I could have joined there and then, but decided on Amersham and waved them on. I went to chat with Claire Green, who was bringing a cup of tea back to BL49 after a turn round the red routes. The BL was parked next to RM1, RML3 and RMC4. 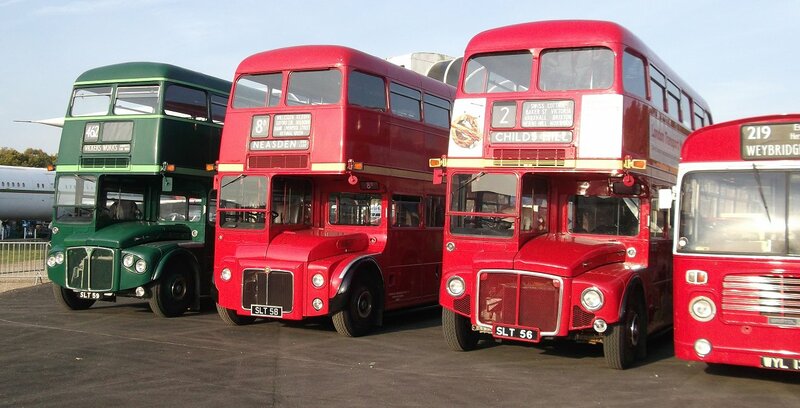 (I wonder when we will see RM2 join the lineup again?). Seeing that she had had to pay for her post-duty cup of tea, she unsurprisingly gave a dusty answer to someone who wanted her to take her bus elsewhere while she was busy drinking it! 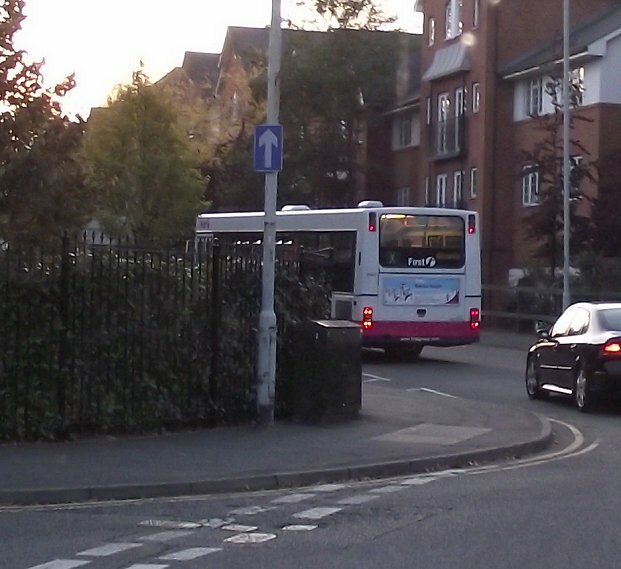 RT604 came out, on its way home.For once it was not the Croydon feeder, that duty being performed by RF600. I walked round the east side of the buildings. 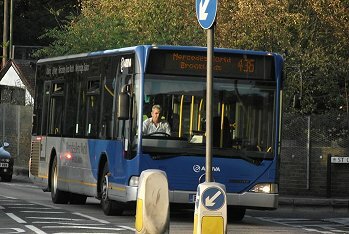 MB90 had just come in from a trip on the 462, and was taking a rest before returning on the feeder service to Basingstoke. In its late London Transport livery it demonstrated just how good-looking these last AEC buses were. 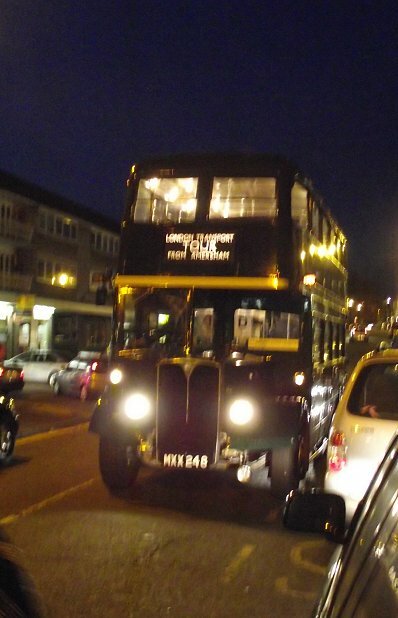 I met K424 from the London Transport Museum heading off for home - presumably Acton. A glorious sight, to see these older buses actually in action and out on the road. 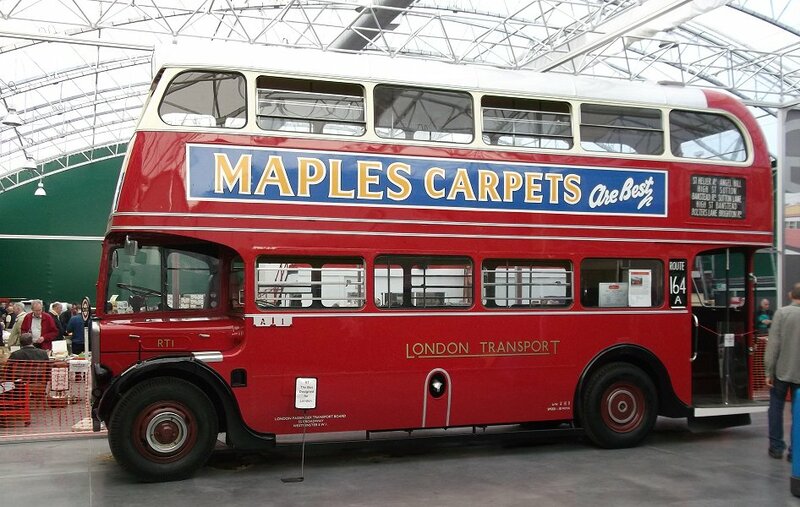 I hope the new London Bus Museum will be doing this too, not just waiting for people to bring buses in, but taking them out too, despite all the risks that entails. (That is the body of a Supermarine Swift in the background, by the way). 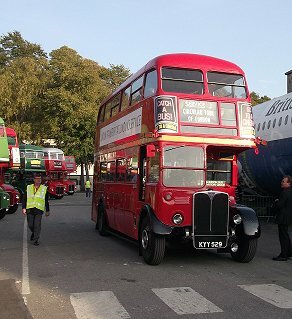 Next out was Roger Stagg, Trustee of the London Bus Museum, in his RT2043. I wish you well, Roger, in this enterprise. (That's a Danish Air Force Hawker Hunter in the background). 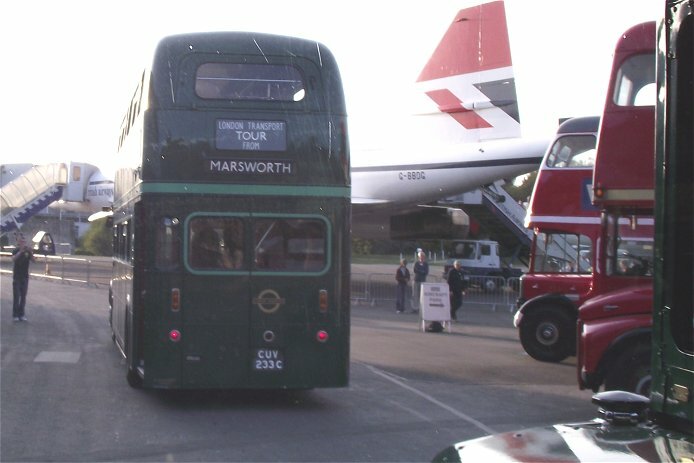 Then Ensignbus' restored RT8 squeezed out of the Classic Car compound and set off. Thanks, Ensign. 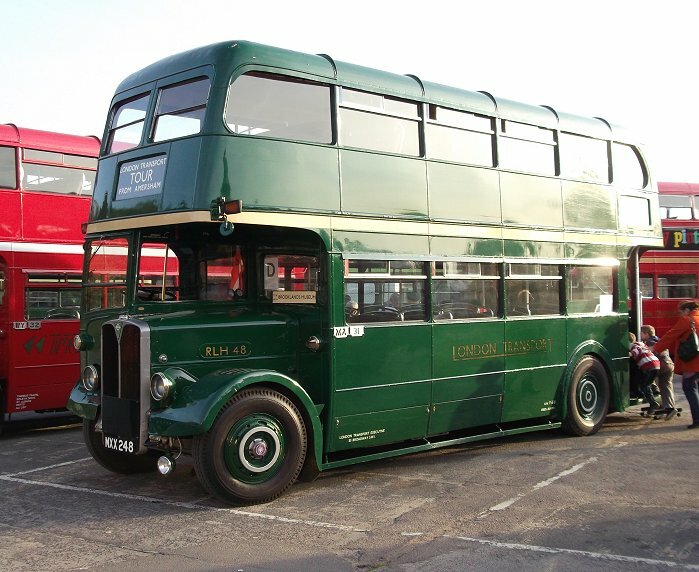 I continued across to the two RLHs, Timebus' RLH23 and privately preserved RLH48. I asked permission and joined the latter. 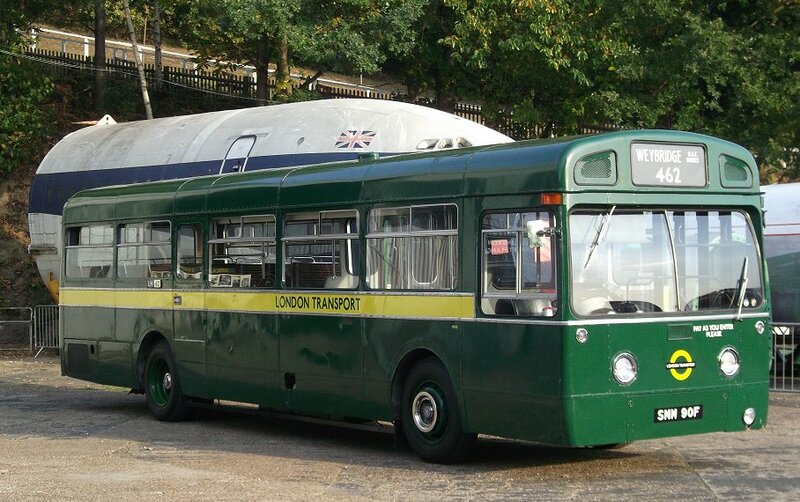 I took the seat behind the tall RLH bonnet, and we rolled out behind RCL2233, past Concorde. We were a few minutes early loading up at the stop, so pulled back on the reversing pad to wait time. 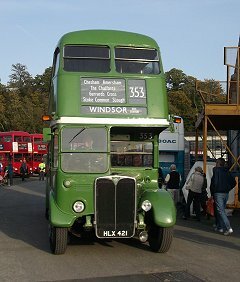 I had a grandstand view as RF226 reversed round in front of us and gently nudged the RLH radiator. No damage done, apparently. 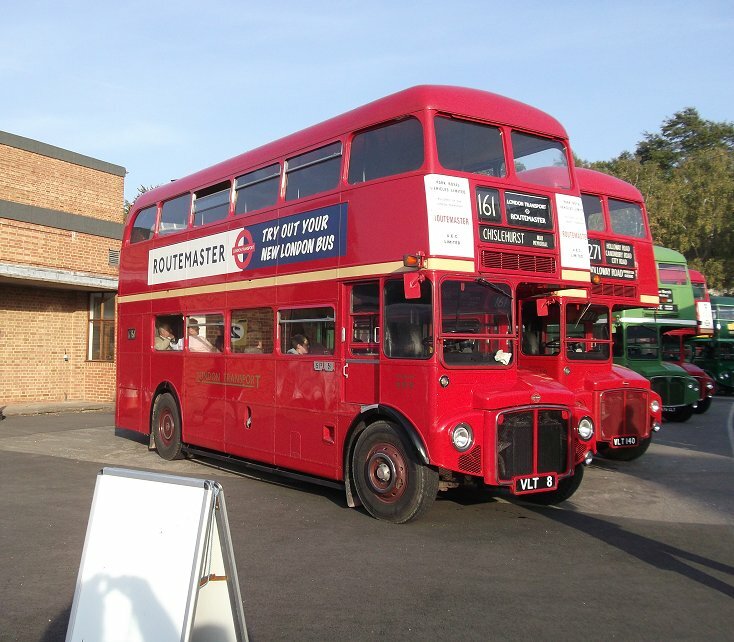 We set off at ten to five, out past the Mercedes Benz building up up onto the Weybridge Station Road. 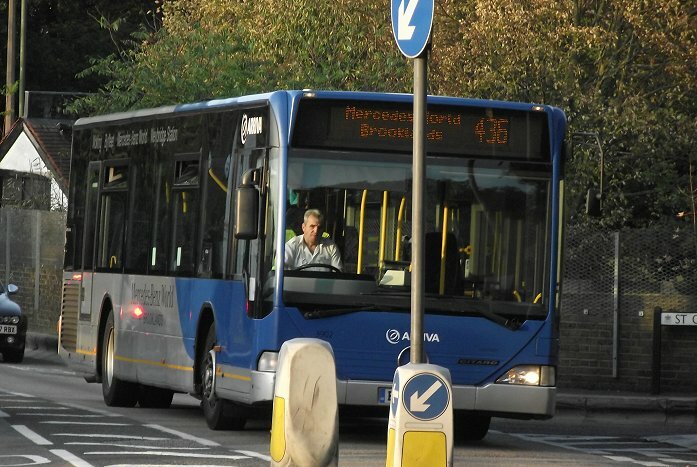 We met 3902, one of Arriva's dedicated Mercedes Benz Citaro's used on the 436, which links Weybridge Station, Mercedes Benz World, Byfleet and Woking. We went down to Weybridge, then along the 462 route to Addlestone, Chertsey and Staines, passing under the low (13ft3in) railway bridge on the way into Staines. 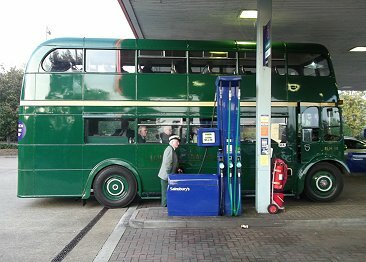 In Staines we made our stop at Sainsbury's - for fuel. 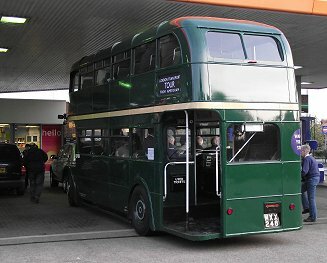 The crew had been assured that the RLH could get under the canopy in the fuelling station. It could. 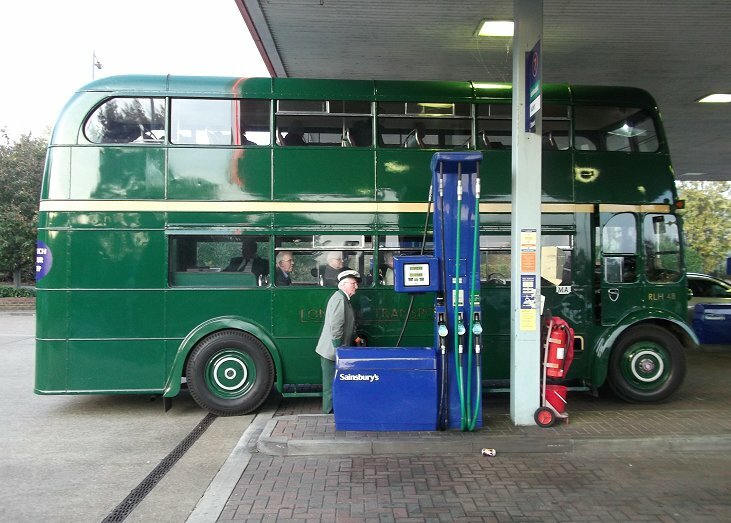 The bus was refuelled, a reminder to all those that ride on these days that it costs the crews a substantial amount in fuel - which in this case was NOT reimbursed from the Brooklands entrance money, I am informed. From Staines we went direct to Windsor along the Runnymede Road, close to The Thames, rejoining the 441 route for the last stretch from the Bells of Ouzeley through to Windsor Bus Station. Now we were in First Berkshire territory, and rounding the one-way system towards the bus station we almost caught up with one of their buses. 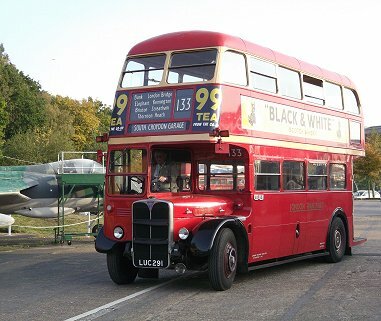 But it turned off to the west, and we pulled right round the corner to pause at the old Bus Garage. 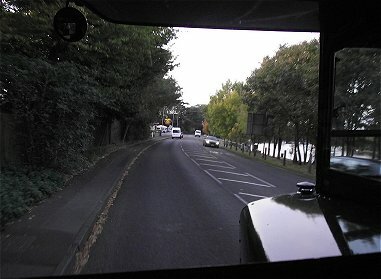 The light was fading fast as we left Windsor, out to the by-pass and the bridge over the Thames towards Slough. Slough looks like the developers are fulfilling Betjeman's pleas. 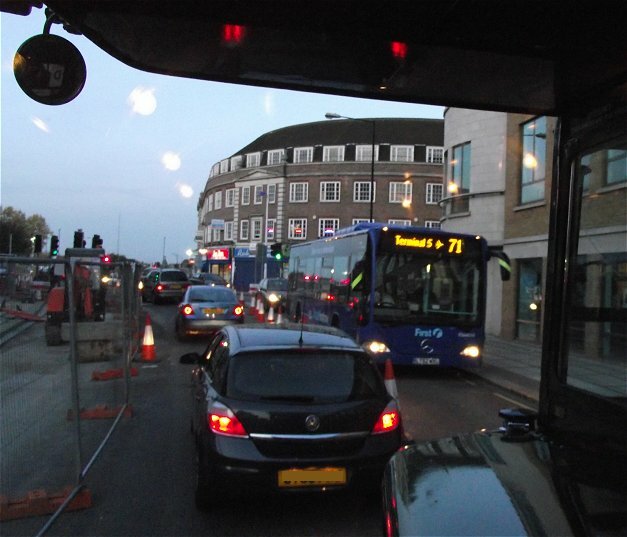 We squeezed through the multiple roadworks, passing another blue Citaro, this time First's ES64014 on the 71 to Heathrow. 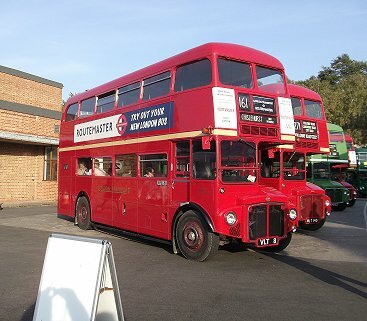 We went on north along the 353: Gerrards Cross, Chalfont St Peter, Chalfont St Giles, and into Amersham, turning up to the old town and Amersham Station, where most of us alighted. 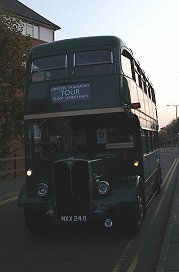 It was a delightful journey, full of character, even in the dark, with the street lights of the villages contrasting with the pitch black of the countryside. Thanks folks. Post script: We walked into the station. A Metropolitan train was leaving in three minutes, formed of good old-fashioned Met-Camm stock. A change at Finchley Road took me across the platform onto a Jubilee train we had just passed, and at London Bridge I climbed the ramp to find a Grove Park train just coming in to the platform. That's what I call connections! - and on a Sunday too! All photos by Ian Smith. Click on any of them for a larger picture. Many thanks to the organisers. I suspect that Peter Osborn had a great deal to do with promoting and organising as well as overseeing the Running Day side of the event, so especial thanks to him. 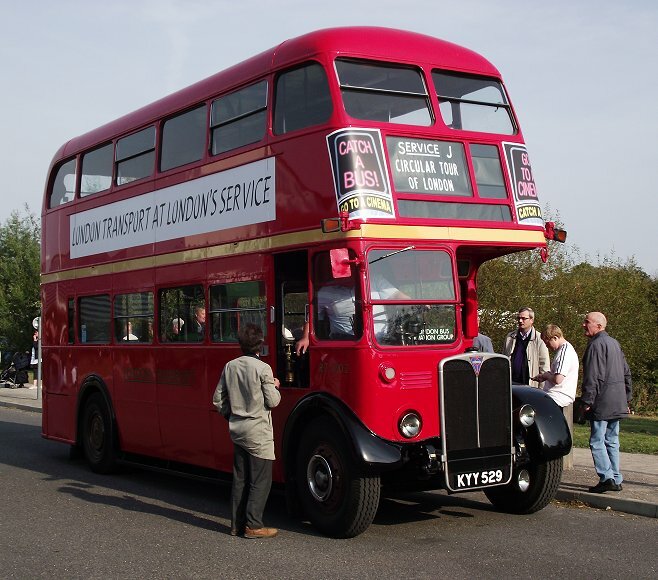 I wish the Trustees and members of the London Bus Preservation Trust all the best with their new London Bus Museum, and hope that they will arrange events so that their buses get out on the Running Days, with guys who can drive them doing so rather than just directing things. As you may have gathered, I prefer seeing buses in their wild state, rather than stuffed on a pedestal. But thanks anyway. 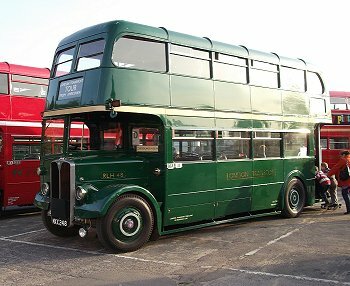 Many thanks too to those whose vehicles I rode on during the day, and those who shared their considerable knowledge and sense of fun during the day. It was good!